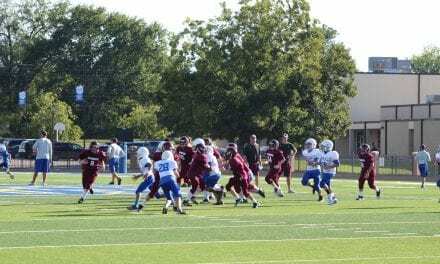 The White Oak Roughnecks turned in a solid performance and beat the Rains Wildcats 26-0 last Thursday evening. After a slow offensive start, quarterback Landyn Grant made his way to the end zone with a 55 yard touchdown run. 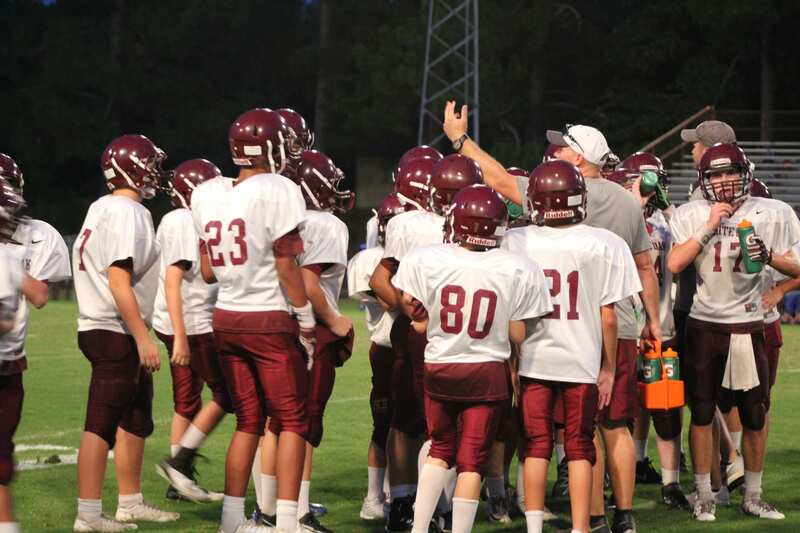 The play was a pass in which Grant saw the defense covering all options and tucked the ball away as he raced in for his first of three touchdowns on the night. The score and two point conversion by Grant put White Oak up 8-0 midway through the second quarter. The defense held the Wildcat offense during the first half with plays from standouts Blake Robertson, Holden Hodges, and Dyllon Heist. With only one second left to play in the first half, Rains attempted a pass only to have Grant intercept the pass and return it 60 yards to put the Necks up 14-0 at the half. Coming out in the second half, the run game was consistent for White Oak all night. Taking advantage of a 45 yard run, running back Heist made his way into the endzone for the third ‘Necks touchdown of the night. On the ensuing kickoff, Aven Whittington kicked a surprise onside and recovered his own kick. The ‘Necks again made their way down the field with Grant finding his way to the endzone with a quarterback keep around the right side. 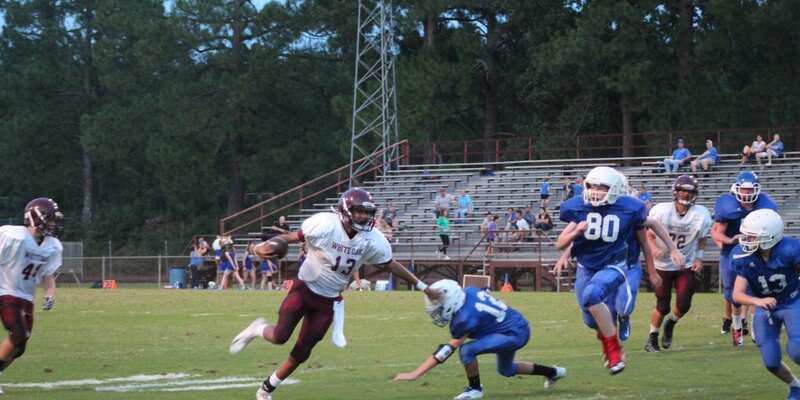 White Oak stretched the lead to 26-0 and kept Rains out of the endzone on their next two possessions. 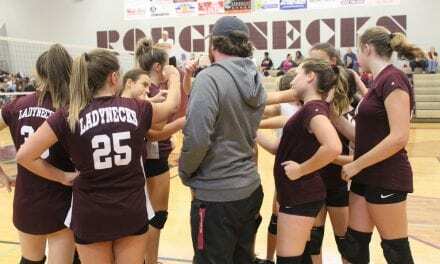 The 8th grade Roughnecks improve to 2-1 on the season and travel to Tatum on Thursday. Game time is 6:30 p.m.